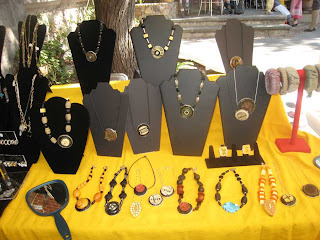 Today, Linda displayed and sold her bakelite jewelry at a craft show at the Instituto Allende, a well known art school. 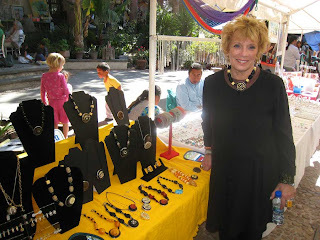 She had a good day, and was able to get some great exposure and sell quite a few pieces. Maybe that's why she looks happy. 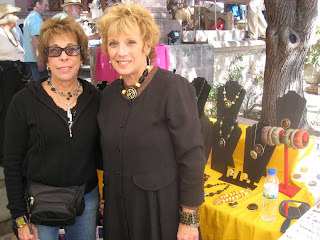 She shared a table with her good friend Alice Neufeld (the other bonita mujer [pretty woman]) in the photo. Alice also had a successful day at the show! We will all celebrate with a dinner out a Bella Italia tonight (maybe the ladies will buy!). While Linda and Alice were selling, I was exploring on my motorcycle. 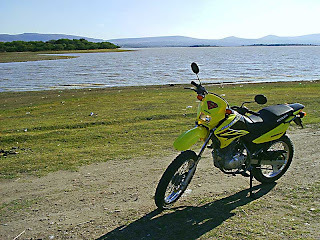 I followed a dirt road past the train station and ended up at the shore of the presa (reservoir). Note the mountains in the distance....Although it looks like a lovely lake, it is a man made lake with wa ter unfit for man or beast. The water is primarily used for irrigation. 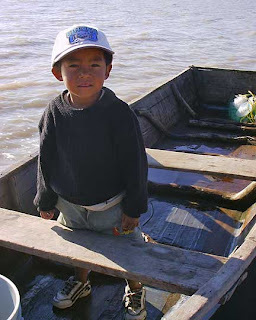 Although filthy, some of the locals swim, boat and fish in it! We keep hoping, and the city promises, that one day the reservoir will be cleaned up and will become a community asset. 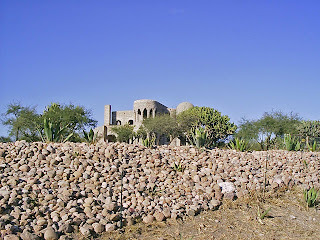 Large homes lie nearby the lake, including a virtual castle, supposedly built by a rich Mexico City lawyer (grist for another blog). I saw a boat at the lakeshore with two people in it. Getting closer, I saw a father and son. The man was unloading cut up tree sections from the boat. I asked him what he was going to do with them, and he said "burn the m in his fireplace." In other words, he took out the boat, crossed the lake, dragged three tree sections (perhaps 75 lb. 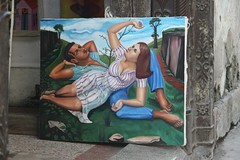 each) for firewood. Probably took him an hour! I left the lake and drove down a long stone road. It was surrounded mostly by farmland. 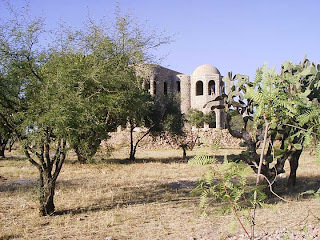 However, there were occasional large homes, and, in the distance, an amazing hacienda. 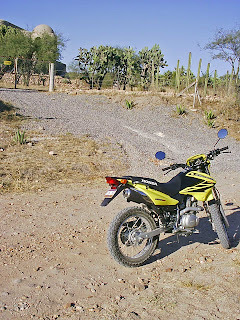 Unfortunately, the small camera I had with me couldn't do justice to the hacienda on the distant hill. I'll try again some day.